One of the most important pieces of advice we can give you when meeting with recruiters and search firms is to always act professionally. It may seem like an obvious suggestion, but you’d be surprised how often this gets overlooked by candidates. Recruitment agencies use a customer relationship database, and every conversation and interaction you have with a recruiter is logged in the database for everyone in the firm to see. Always put your best foot forward with a recruiter; you never want your file to have negative comments that could hinder your prospects for career advancement. With that in mind, here are additional recommendations to help improve your profile and visibility with a recruiter. It is difficult to establish a relationship with someone you have never met. Take the time to meet with a recruiter in-person, so they can truly understand who you are and your main goals and objectives. A face-to-face meeting will also give you the opportunity to find out more about the recruiter. Remember, this is a two-way street; the recruiter is not only finding out about you and your career objectives, you must determine if the recruiter meets your criteria. If you do not share the same values and principles, chances are this recruiter is not right for you. Good relationships are reciprocal. A good recruiter will provide detailed information about a potential job opportunity. But it is important for you to give in return and provide information to the recruiter that will help with the job search. Open communication builds solid relationships, and ultimately results in attaining goals. When a recruiter tells you about an opportunity, if you are interested, great! If it is not a good fit for you, let the recruiter know of friends/colleagues that may be interested. This could work to your advantage, as friends/colleagues may recommend you to their recruiters. However, be cautious. We recommend only sharing information with recruiters you trust. There are a number of aggressive search firms who teach their recruiters to ask where you have been interviewing and then use this information to present their own candidates to the company that is hiring! Of course, not all search firms do this, but it is important to take precautions. The bottom line: share information, but not information that will put you in a disadvantaged position. A recruiter will see your promptness as a sign of eagerness and enthusiasm. A good recruiter will also respond to you quickly, usually within the day. 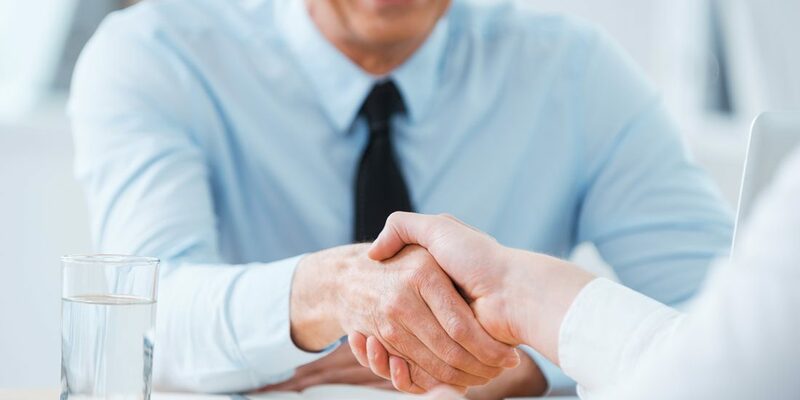 It is important to note, however, that good recruiters usually juggle many searches at one time, and since recruiters typically like to connect with their candidates personally, they don’t outsource their calls to administrative staff. Furthermore, every so often you may not get an immediate response, but you will get a response as soon as possible from a recruiter. Therefore, it’s best to avoid leaving multiple messages for the recruiter on the same day. The more visible you are, the more likely you will be top-of-mind when an opportunity arises. Join networking groups, conduct speaking engagements, mingle with co-workers and colleagues. Be sure to connect with recruiters at reputable, trustworthy search firms and send them your resume. Invite these recruiters into your network where possible. Chances are, if you find your relationship with your recruiter rewarding, so will your network. Always wear a professional suit where appropriate, even when you are interviewing with a recruiter. If for any reason you can’t, be sure to apologize, acknowledging that you are not dressed for the occasion and provide a reason why. Dressing professionally is a sign of respect and demonstrates how serious you are about your job search and career path. Package your resume in a professional manner. If you don’t know how, ask around. Your resume should focus equally on your responsibilities and accomplishments, highlighting accomplishments that were a result of your own initiative. This is what will set you apart from the competition. Why did you study X in university? Why did you pick your current employer? What made you leave your previous employer? A good recruiter will ask these questions and you must be prepared to answer. The answers you give will provide insight into the type of person you are, your likes/dislikes, values, principles and standards. The more a recruiter knows about you, the better chance they will have at finding you the perfect match with an employer. Be honest about what you are looking for. The more honest you are with a recruiter, the more they will be able to help set your direction. A good recruiter may also be able to suggest other options you never considered. Even after you have landed a new job, it is beneficial to communicate to the recruiter what type of opportunity would be next on your career path. The more open and honest you are, and the more people you tell about your goals and objectives, the more likely it is that they will be achieved. The more information you provide to your recruiter, the easier it is for them to market you to prospective companies. Be clear about what skills you bring to the table and what companies would benefit from your skill set. For example, if you are an expert SAP implementer for consumer package companies, tell the recruiter which firms you know are about to implement SAP and would be able to benefit from your experience and knowledge. This is the best way to keep your search confidential and to ensure your current employer does not find out you are seeking alternative employment. Also, you don’t want multiple recruiters presenting your resume for the same opportunity. We have seen employers not consider a candidate because they couldn’t decide which search firm deserved credit for the introduction. By knowing where your resume is submitted, you are able to control the situation. Be sure a recruiter does not share your information with a company until you approve your candidacy. Show that you truly appreciate the time a recruiter or company has taken to meet with you by sending a thank you note after the initial meeting. We’ve actually seen thank-you notes alter a company’s perspective when choosing the ideal candidate. An employer will often feel betrayed when you decide to leave the company and seek opportunities elsewhere. They may see this as disloyal and untrustworthy. To avoid damage to the relationship, we find the most proactive approach is to communicate with your employer what has made you unsatisfied and displeased before you commit to finding alternative employment opportunities. Should your employer make you a counter offer to stay at the company once you resign, do not take it. Ask yourself why it takes leaving the company to get what you want and feel you deserve. The reality is that the majority of candidates who accept a counter offer do not stay with the company for more than one year. Sometimes this is the candidate’s own doing, and sometimes it is not. Postings generally give about 10% of the big picture and typically do not get into specifics, such as cultural or organizational fit. If you are working with a trustworthy recruiter, believe that the recruiter has your best interest at heart and will call you about all opportunities that are a possible match. Every once and a while, if you see a posting that looks to be a perfect match, you should touch base with your recruiter to see why you were not considered for the opportunity. However, please use caution when doing so. If the recruiter addressed every candidate’s concern about numerous postings, the recruiter would spend most of their time answering questions, when what they really should be doing is spending time finding other hidden job opportunities. The more time the recruiter spends searching, the more quickly they will find you your opportunity. Candidates who inform the potential employer of their strong interest in the position often come out ahead of more qualified candidates who do not express their desires. Companies want to hire people who want to work for them. This will let the recruiter know they no longer need to continue searching for you and allow them to keep in touch in the future.